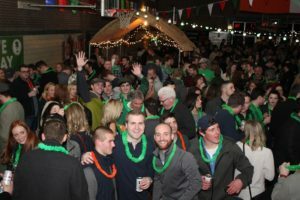 2017 Ride A Success! 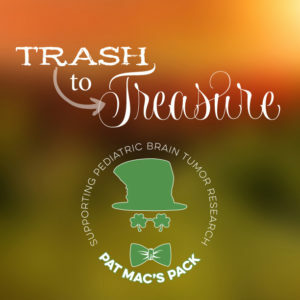 Thank you to all our riders and generous sponsors! 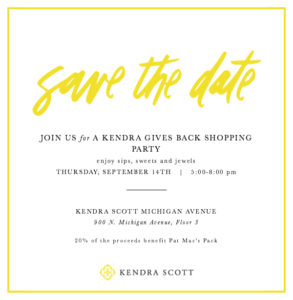 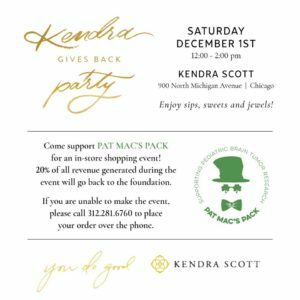 A perfect opportunity to pick up some special holiday gifts, join Pat Mac's Pack at Kendra Scott's Michigan Avenue store (or place your order over the phone) on December 1, and 20% of your purchase will benefit Pat Mac's Pack. 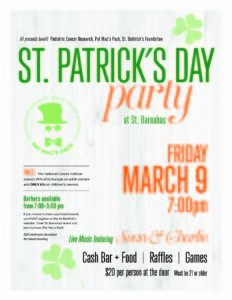 SAVE THE DATE FOR OUR ANNUAL ST. PATRICK'S DAY PARTY! 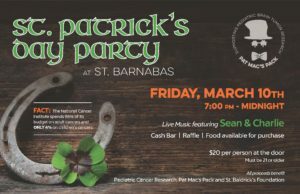 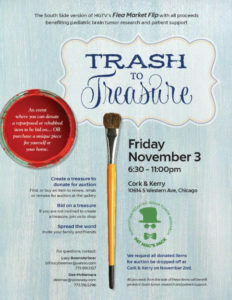 Join us on Friday, March 8 at St. Barnabas School in Chicago More details to come.